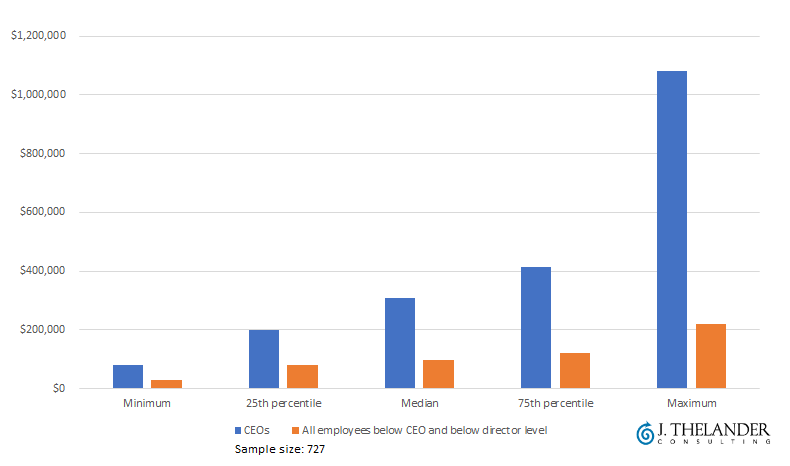 Starting this year, public companies are required by the SEC to disclose the difference in pay between their chief executives and the median employee. But there's no such requirement for private companies, and historically there's been very little data available to highlight those compensation gaps. Through its 2018 private company compensation survey, J. Thelander Consulting has gathered pay information for chief executives and other employees at nearly 1,500 companies that are backed by PE, VC or CVC firms. The median ratio of CEO to employee compensation at private companies, in terms of total cash, is 1.82 to 1. 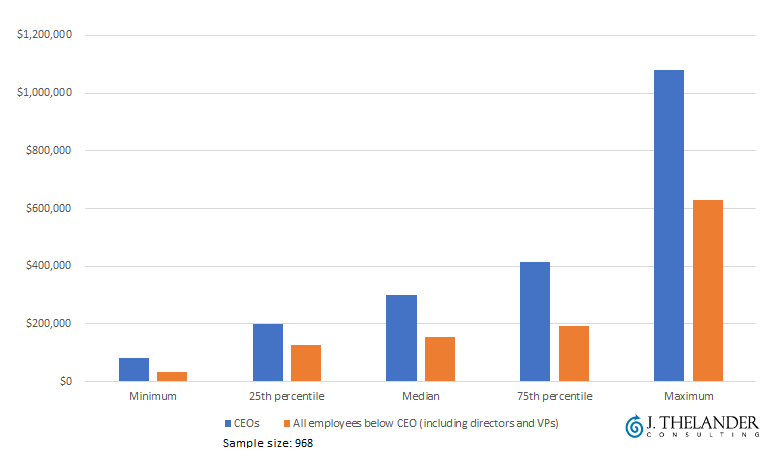 And the median ratio of CEO to employee compensation when directors and VPs are excluded is 3.15 to 1. That's just one area of information covered by Thelander's 2018 private company compensation survey. Results of the survey have been released on a comprehensive online platform, which features exclusive data on salary, bonuses and much more for employees across a range of positions and industries. Check out the free Thelander-PitchBook overview of the 2018 results. See the charts below for more on the difference between compensation for CEOs and average employees of private companies. All data is for 2018 and consists of total cash compensation. Here's the link to the overview of results for the 2018 private company compensation report.